$20,000 Under Appraisal! Buyer loan falling apart! This property is absolutely immaculate & has great curb appeal in this desirable & popular family friendly Reunion neighborhood - bring your pickiest buyers! The community surrounded w/several parks, hiking trails, gorgeous lake, restaurants & retail shopping. Newly built elementary school. Awesome recreation center includes full gym, basketball court & outdoor swim pool! 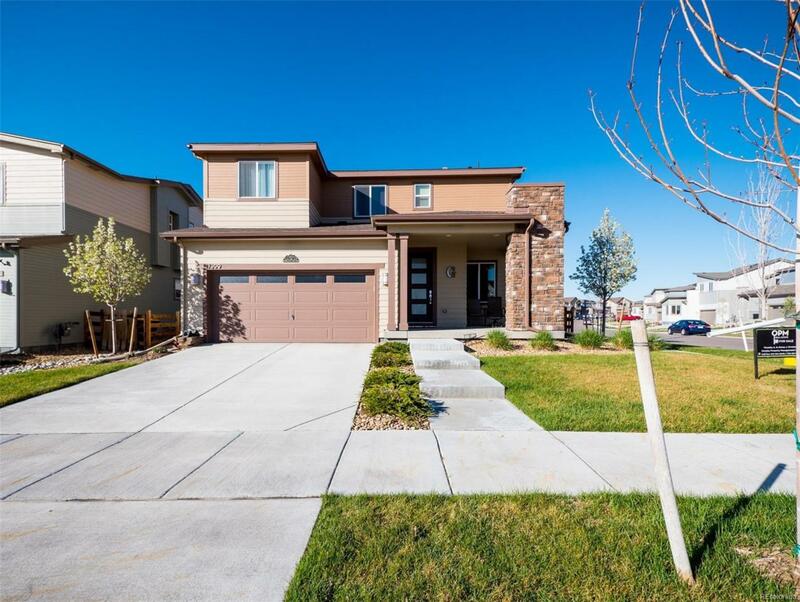 Quick & easy access to E-470, only 10 minute drive to DIA & 25 minute drive to downtown Denver. Built in 2015 & maintained beautifully! Large covered front porch. Open kitchen boasts a large island w/stainless steel appliances, great for cooking & entertaining. Central A/C. Upgraded hardwood laminate throughout main level. Spacious custom paver patio in the professionally landscaped backyard w/garden area, fire pit, Shed, gas connection for BBQ perfect for those summertime BBQ's & family gatherings. Come check out this pride of ownership & make this house your home! Offered by Ornelas Property Management Llc.